Why does your business need a digital presence? Many small businesses don’t have a digital presence through a website or social media. The most common reason I hear is, “I don’t know where to start.” The second most common reason seems to be, “I don’t have time, I’m too busy running my business.” Fortunately, having Fetch Media take care of it for you isn’t as expensive as you think. We offer packages for small businesses to get started, even if you don’t know what Twitter is. 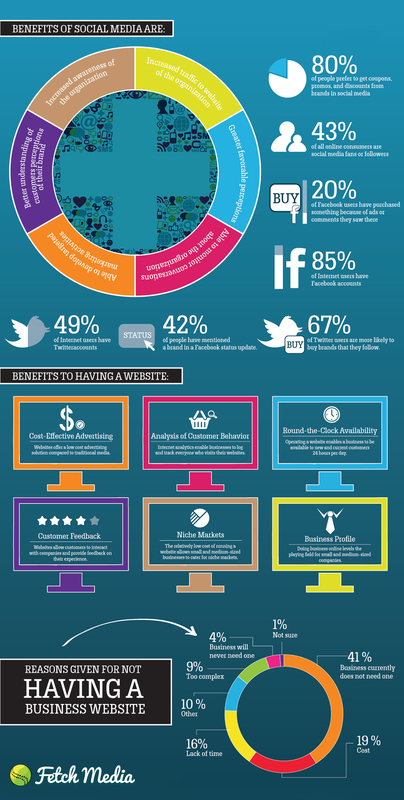 Take a look at some of these compelling statistics about websites and social media.